Not always in the mood for sporting a lot of metal on your leather wristband? 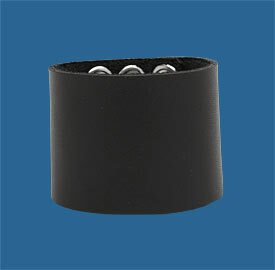 Try a plain black leather band (or two) for a little more subdued look. It helps you keep an edge and your options open. Made locally just for us out of thick black 100% leather. 2 1/4" wide. 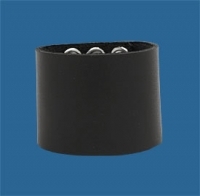 The snap closures adjust to fit wrists 5 1/2" to 7 1/2" in circumference.